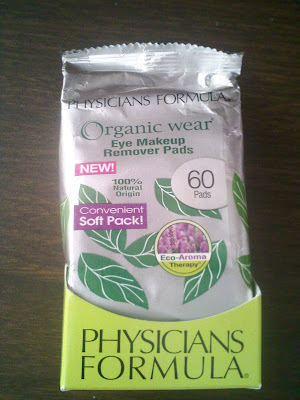 On a recent trip to Target in Chicago, I saw these Physician Formula Eye Makeup Remover pads in this easy to travel packaging. They used to offer these in a hard-case jar but they must have figured it's much more eco-friendly and convenient to just reduce the packaging and use these instead. Overall, I thought they were okay. It removed my mascara and eyeshadows but it did not remove my eyeliner! I was wearing an organic eyeliner too, so I was surprised it didn't take this off. I scrubbed for a bit, as gently as I could, with these pads but it didn't budge. Oh well.. I probably won't repurchase but it's good for travel.